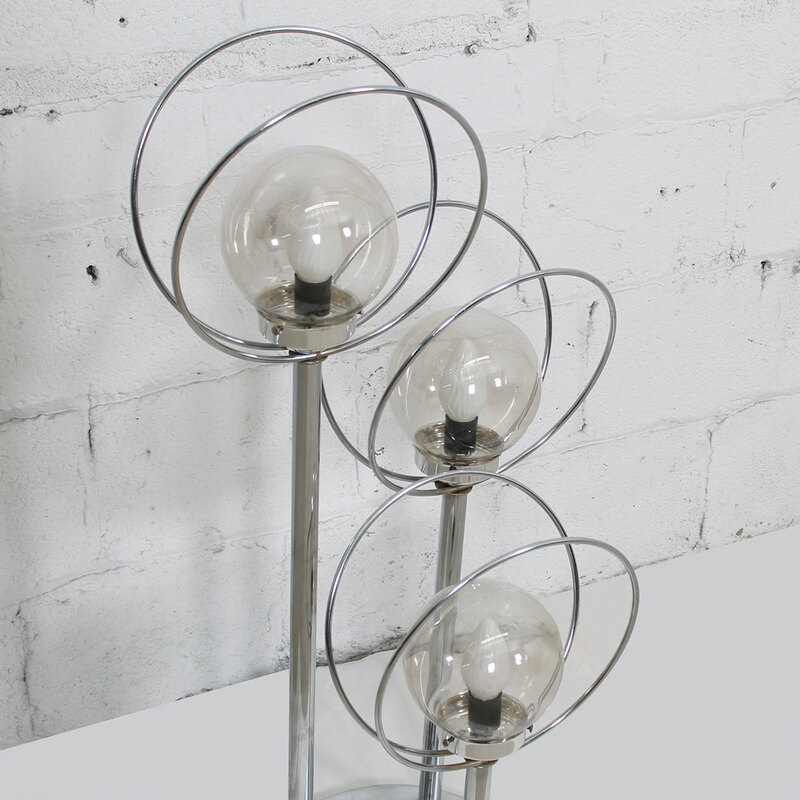 This 3-bulb chrome table lamp is Out of This World! 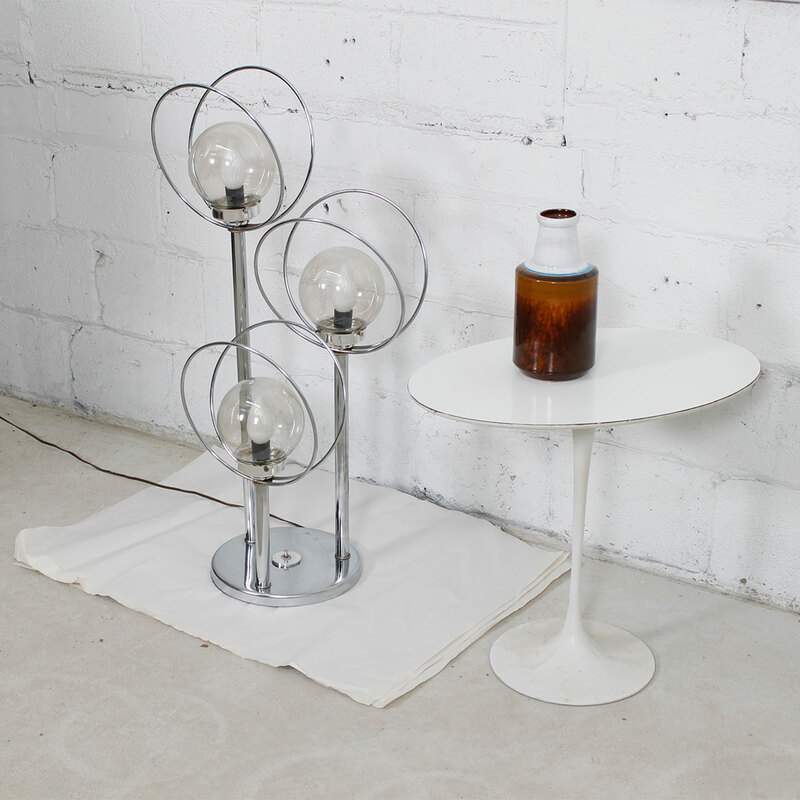 Dating to the early ’70s, the heyday of space travel, it will add a splash of retro in your room without kitsch or camp. 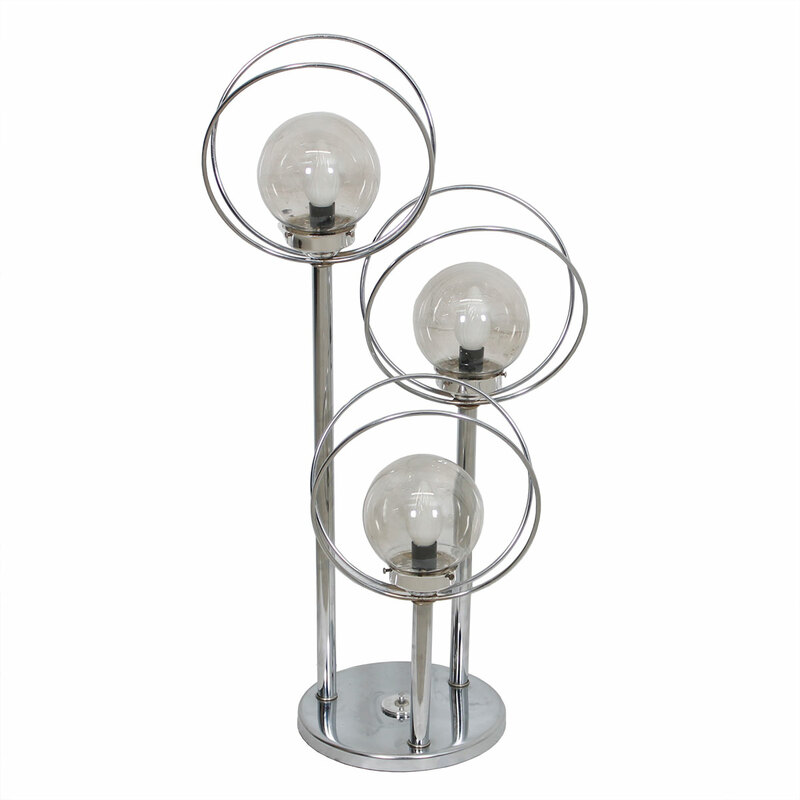 Three graduated chrome poles sit on a round chrome base. 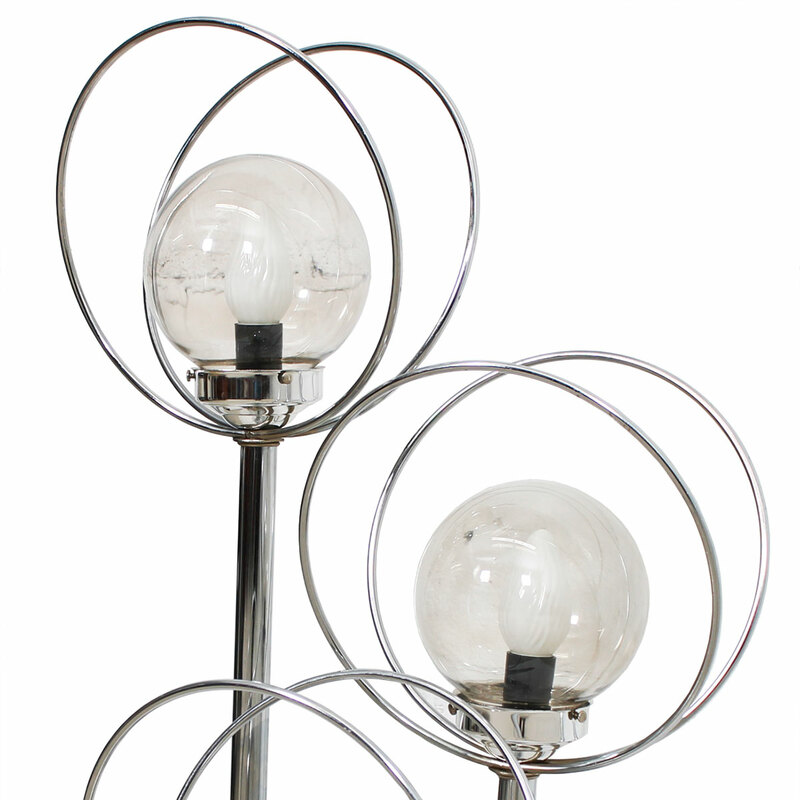 A chrome double halo – like the rings around a planet – surrounds each of the three glass globes that hold the lights. 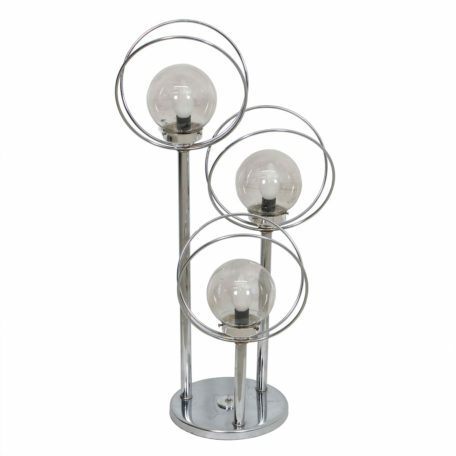 With the turn of the switch on the base, one, two or all three lights can be lit, casting a gorgeous light into the room. 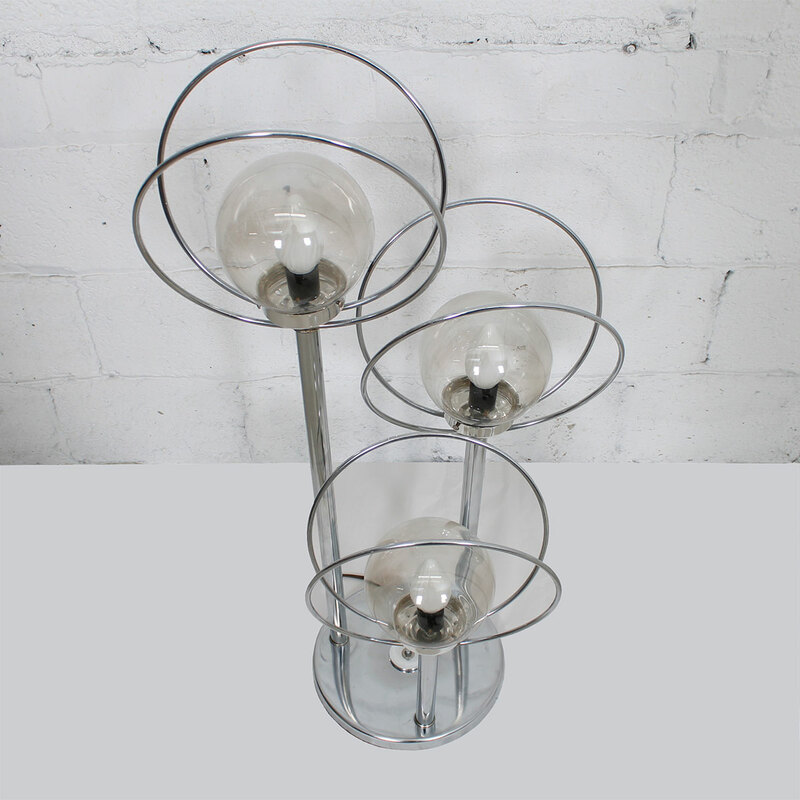 This is a fabulous Space Age statement piece. 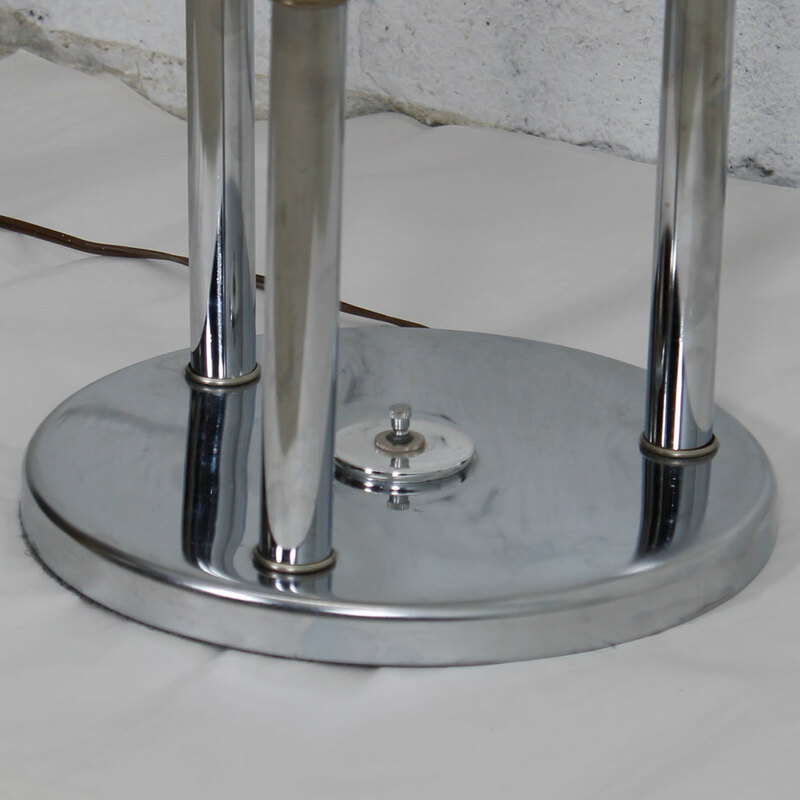 SKU: Ref#: 5012. Categories: Lighting, Floor, Table. Tag: Kensington.